Cuts, bruises, infections—we deal with these types of injuries all the time. Dealing with most of these injuries is considered common knowledge, too. In fact, finding a first aid kit to help all these tend to be easy most of the time. Yet we often don’t think about certain injuries—such as injuries to the mind and brain. Of course, there are ailments of the mind and brain like anxiety, stress, and depression. 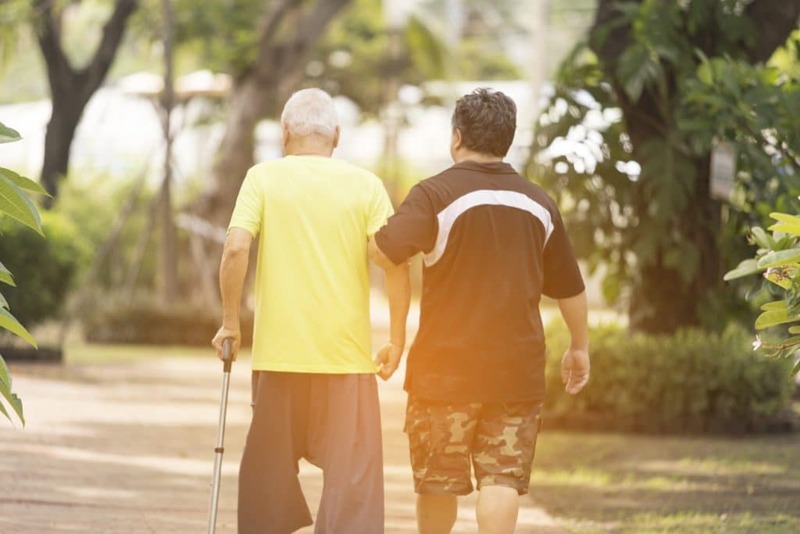 There is even the possibility of stroke in some instances, depending on certain factors and health habits, though this is less common. But what about actual, physical injury to the brain? Can such injuries be commonplace? And how do they happen? The answer: yes. Some of these can indeed be commonplace, and one of the most likely is known as a concussion. Since we’re talking about brain injuries, the definition of a concussion is quite simple. Basically, a concussion is an injury to the brain. How this injury happens can vary. Concussions may result from head trauma, such as collision with an object—or even from a fight or physical sport (such as football). It can also be caused by violent shaking or whiplash. Even what seems like a mild, harmless blow to the head could cause a concussion. Some may even experience a concussion and not fully know it. So how can we know we have one? Keep in mind: these symptoms might not show up right away if a person has a concussion. They can even be subtle, showing up only gradually. As it was just stated, concussions can be mild and almost unnoticeable. But others can be quite severe. Some leave a person unconscious for a few moments or lead to even more serious symptoms. SHOULD I WORRY ABOUT A CONCUSSION? Though concussions sound scary and can be nerve-wracking to experience—whether firsthand or secondhand—the majority go away on their own, and people tend to recover fully. Though some may choose not to visit a doctor with a concussion, it’s still best to keep an eye on signs and symptoms. Very mild concussions that cause and are limited to momentary confusion, distraction, cognitive difficulties, and other mild symptoms for less than two days are often little to worry about. On the other hand, if symptoms get severe and last more than two days, there could be great cause to worry. 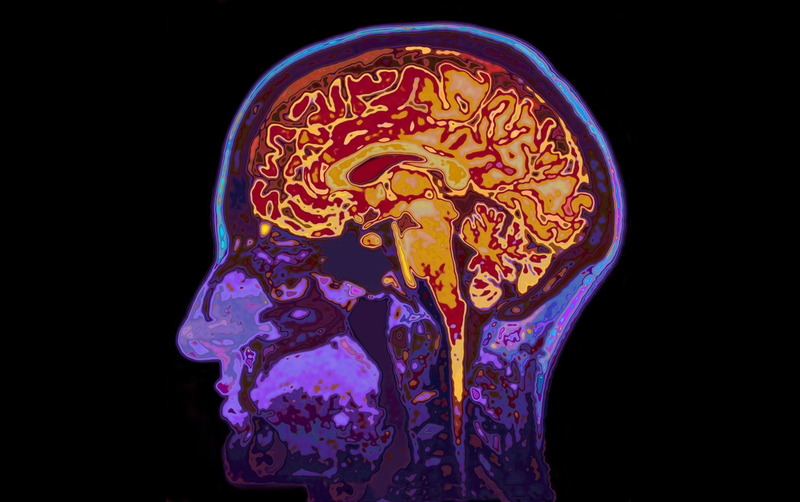 Severe concussions can create bleeding and swelling that causes brain damage, for example. This brain damage can even be fatal. If symptoms are worrisome enough and there is any doubt, it’s always best to see a doctor right away. If it turns out there’s really a concussion going on—whether moderate or severe—what can be done about it? Are there things that can be done at home (or naturally) that help? On that subject too, what would we expect a health professional or clinic to do or recommend for the injury? Fortunately, even a doctor will give strong recommendations for changes at home to aid the recovery of the concussion—or to forestall any possible further damage from it. In some cases, this might be all the doctor recommends. Currently, there are no official drugs that help treat concussions, only the symptoms related to them (according to this 2011 review). As stated earlier, there are currently no mainstream medical treatments for concussions. Many drugs have been tested, and some have been tried and used for concussions. But none have been officially proven effective or safe. That is, safe or effective enough to treat possible harms of concussions as a standard public drug approved by the FDA. What’s more, many treatments are not even meant to help the concussion itself, but only its symptoms: such as sleep disturbances, cognitive struggles, emotional disturbances, headaches, and more. For those undergoing a concussion or facing the possibility of one, this can make it seem like people are ultimately powerless when dealing with the issue. But instead of trying untested pharmaceuticals, the world of mushrooms and herbs may have surprising benefits to offer. Keep in mind: none of these cure concussions. They can only support the healing process and help with the symptoms they might cause. In the field of herbal research, some interesting discoveries have been made about what certain herbs are capable of. More specifically: some herbs and mushrooms have been revealed to have nootropic and neuroprotective capabilities. Nootropic means it enhances mental function and even memory. Neuroprotective means it protects nerves and brain cells in some way. In a certain Indian herb known as bacopa, both of these traits are true. Studies show that bacopa can boost both memory and cognition in those who take it, which could help people struggling with a concussion—whether mild or severe. One review in 2015 showed great hope for the botanical becoming a source for nootropic, brain-enhancing medicines one day to improve overall mental function. Another in 2016 actually tested bacopa among test subjects and found that cognitive abilities were significantly improved—even when compared to placebo. Ever heard of the strange but wondrous cordyceps? This mushroom—or more properly fungus—parasitizes bugs, growing from them after they’ve died. Luckily, their health benefits sound less gruesome. In fact, cordyceps is one of the most well-known natural nootropics in the world. Studies clarify this, too. One in 2012 found it could improve memory and learning even in test subjects subjected to brain damage (not all that dissimilar to a concussion). Yet another in 2016 showed that certain cordyceps compounds, called cordycerebrosides, helped reduce inflammation in the brain—another similar impact from concussions. Last but not least: cordyceps appears to restore energy, both mental and physical, according to a 2015 review. Mental fatigue is a known symptom of concussions. So as bizarre as this fungus is, it could one day be considered a concussion treatment—though more studies are needed. It seems that, as a rule, the more bizarre a plant is the better it could be for health. Japanese clubmoss (also known as toothed clubmoss) is no exception. 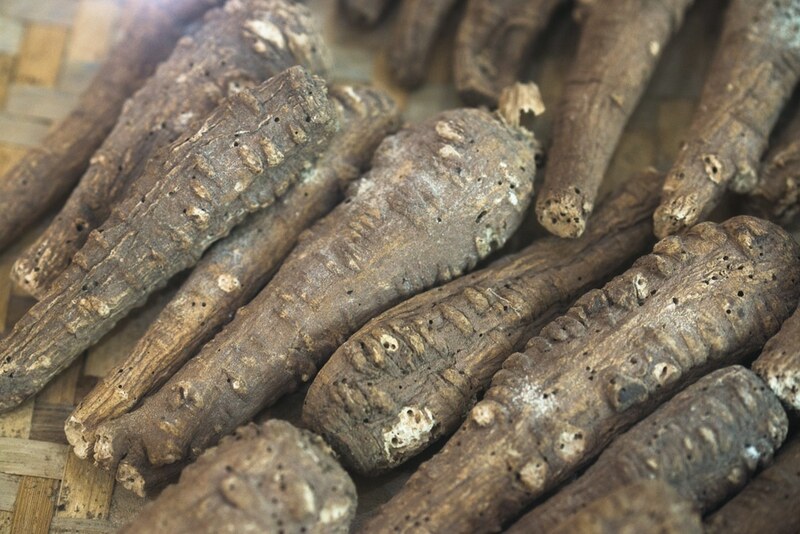 Despite its odd, spiky appearance, it’s been a popular part of Traditional Chinese Medicine (TCM) for thousands of years. But it’s use has gone far beyond just folk use and herbalism. 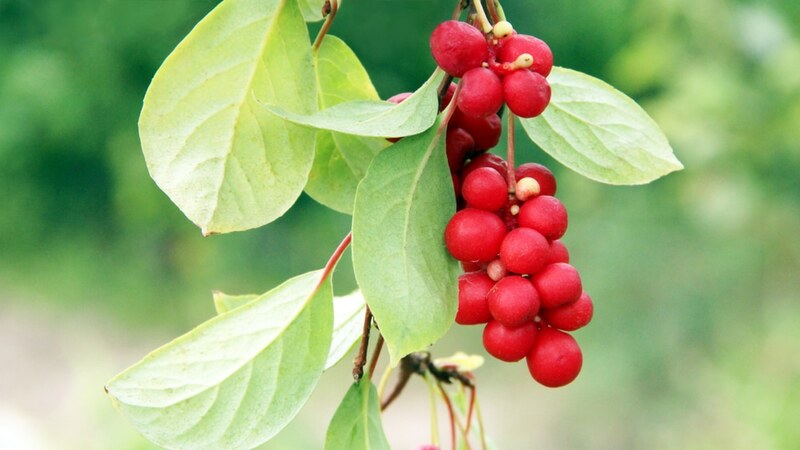 In fact, a compound extracted from the plant, called huperzine A, has come under enthusiastic scientific scrutiny. What’s more exciting: it could possibly help concussions. This includes a very recent 2017 study showing that the botanical compound could improve both neuroinflammation and behavioral changes due to brain injuries, of which concussions are the most common. What’s more, huperzine A was an important part of a major 2011 study on brain-damaged NFL players and was considered a useful therapy for improving brain function in the results. If cordyceps and clubmoss aren’t as bizarre as it gets, then an encounter with lion’s mane might change all that. This mushroom has been popular in Asian folk healing traditions for thousands of years. It looks quite a bit like a pom-pom, and like its name, it does have a leonine, fluffy appearance. Perhaps even more so than cordyceps, it is one of the most well-researched, promising, and celebrating natural healers for the brain in the world. What makes it so special? Studies show it could literally help nerves regrow after damage, which could have huge significance for concussion incidences that cause brain damage. A 2011 study demonstrated such effects. Another in 2015 suggested that this regrowth contributes to better cognition, memory, and overall brain function too, and not just healing brain damage exclusively. Could lion’s mane really heal concussions? Perhaps. Reishi is another mushroom that is pretty exciting in the realms of health and research. There is a lot it’s capable of: boosting immunity, helping with the signs of aging, reducing cancer risk, and many other things. While it’s not as thoroughly studied in this area as much as fungi like cordyceps and lion’s mane, it nevertheless has shown some great neuroprotective potential. A 2014 study showed that reishi may help the brain bounce back from damage, which could be very good news for concussion issues. A more recent study in 2017 also showed it could improve cognitive problems, which can be a symptom caused by a concussion, too. Though more research is needed on reishi, there’s already quite a bit to respect about it. It’s certainly not proven to cure anything (much less a concussion), but further exploration could change that. 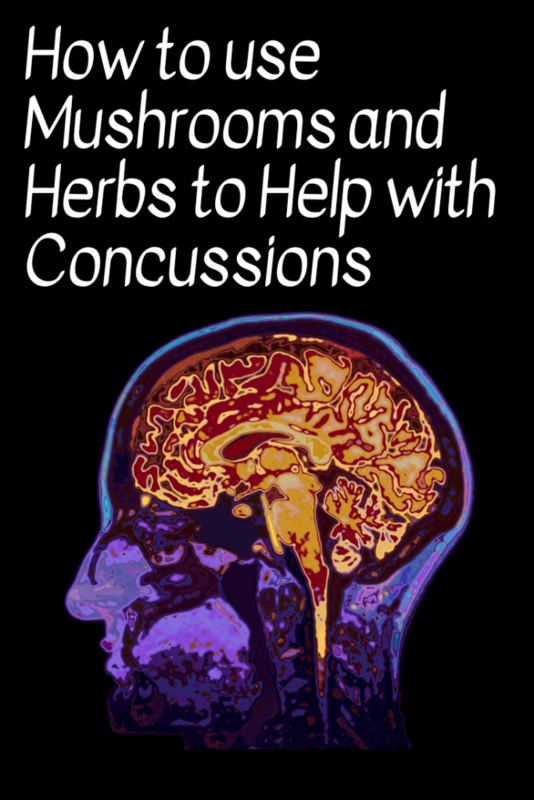 In addition to trying botanicals shown to possibly help with a concussion, there are other approaches that might help: such as lifestyle choices. Get adequate, high-quality rest often. This means both mentally and physically. Both can be very taxing to the brain, which needs all its energy to heal. Get adequate, high quality, and regular sleep. Truly restorative sleep is important to healing the brain. It should also be regular, not irregular, which can stress the brain. Mitigate stress. Don’t pile up that plate. Don’t force the brain to work too much. Give it rest and give it time. Stop smoking. Most people may not realize it, but this can negatively impact the brain. It can also interfere with sleep patterns needed for the brain to fully heal. Stop drinking. Drinking can also interfere with brain function and sleep patterns, too. It’s best to hold off until after concussions have gone away. Stop using so much caffeine. Again, this can have a huge impact on sleep patterns. The brain needs plenty of ample sleep and rest, to recharge, and to even heal after experiencing a concussion. But remember: if symptoms are severe, worrisome, or if those experiencing concussions are in doubt in any way, it’s best to absolutely see a doctor to reduce the risk of further complications that could arise. This is especially the case if symptoms that interfere with one’s life last for longer than two days, cause drastic personality changes, or include seizures, unconsciousness, or symptoms getting worse in general. Sometimes, subtle concussion symptoms may remain for a few weeks to a month after things happen. If they don’t cause a major disturbance, that’s okay, and will likely go away on their own. Otherwise, with very severe signs, it’s better safe than sorry with a doctor. 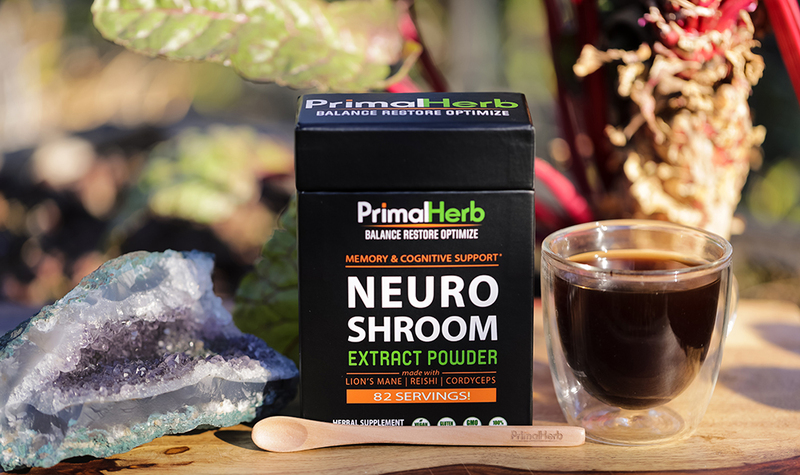 All the mushrooms and herbs discussed in this article just so happen to be carefully picked for our NEURO SHROOM herbal and fungal extract formula. Each is selected for its neuroprotective abilities.